Sunrise tis a beautiful unit is the roomy ground floor of a two-story villa, with 2,500 square feet of living space and 40 feet of shaded terrace looking out on the Caribbean and an incredible infinity rooftop pool looking out on the Caribbean. The villa offers two bedrooms, each with a king-size bed. The master bedroom has glass doors that open right up onto the terrace and beach and offers a delightful view of the ocean. The guest bedroom has a lovely garden view and shares a bathroom with the entertainment area. Here you'll find satellite TV, along with two single beds. A pair of bamboo blinds can separate this space from the living room, making it ideal for children. Step outside into the warmth of the Caribbean sun and see why Akumal is the jewel of the Mayan Riviera. Just a few steps across the white sand beach lie the turquoise waters of the bay, protected by a double barrier reef just 100 yards offshore. Spectacular coral formations and exotically colored and patterned fish await you as you snorkel the calm, clear water. Back on the beach enjoy the shade under a thatched palapa roof or relax with a margarita in a hammock beneath the palms. Kayaks are available for exploring the bay. Casa Sunrise even has a beachfront shower to rinse off in. Back inside you will appreciate this vacation villa's central air conditioning, high ceilings and cool white rattan furniture. The modern kitchen is fully equipped and boasts a breakfast bar with bar stools. The dining table seats up to six guests. Casa Sunrise offers a gardener and daily maid service. My wife, son, and I spent a week at this property in March 2019. We had stayed in larger groups at other properties in this same stretch of beach, so this was the first time with just us. The area is close to plenty of exploration (Tulum, cenotes, zip-lining, etc.) but this trip we were content taking it easy and spent most of our time within walking distance. There are decent grocery stores, etc. within 20 minute drive to re-stock home base. We felt secure as the vehicle entrance to the stretch of beach is guarded. Seven days of sunshine helped, too, but we had a great time. The place was clean and well laid-out, with plenty of places to relax in shade or sun. The rooftop pool was nice because by afternoon the sun had heated it to a great temp. It is possible to snorkel right off the beach. There is also snorkeling closer to town, which you can get to by walking down the beach about a mile. It is definitely getting more developed in the area, but this stretch of beach remains calm. I'd recommend this place either to another family like ours or even to two couples with young children. There is plenty of space. Our six year old loved it. Property management is responsive and the daily cleaning was more than adequate. We never saw the owner who apparently has the second level, so it felt like we had the place to ourselves. They were talking about adding the second level to rent out with the first level, which would add great flexibility for larger groups. If you’re looking for a perfect place to unwind and enjoy a vacation without tourist, Akumal Sunrise is for you. The roof top pool was amazing, the snorkeling out front of the home also amazing with a bonus spot to fly fish north of the property. The house was well maintained and very clean. My family felt very safe in a gated community being close to all of the other amenities the Rivera Maya has to offer. The beach is perfect. We definitely had a piece of Heaven on Earth in this house! Much thanks to Rhett at Akumal Villas for hooking us up." It's a basic vacation house.  Only the first level of the house is available. Two floors up, there is a pool and deck, but no shade. The middle floor is for the owners. The kitchen is randomly supplied with utensils. Two of the 6 stove burners work but don't adjust. The refrigerator does work very well. There are comfortable sitting areas in the home. The artwork all around is wonderful." The villa was fantastic. The rental is the first floor of the villa and very comfortable. The staff was very friendly and professional. Lots of seaweed on the beach directly in front of villa but did not bother us. Pool and views are breathtaking. A resident pelican would fly over us every evening! You are not allowed to place toilet paper in the toilet but in a trash can. Staff was there in the mornings to take out so we didn't have an issue with this. Bottled water was provided for us which was great. Nearby convenience stores and Tulum about a 15 min drive. The restaurant Carlos & Lalo less than 10 min away-very good! Would stay again if we have the opportunity. " The location was exactly what we were looking for and as described: far from the commercial madness of Cancun. It was safe, tranquil, the information provided was accurate, directions we're perfect! A nearby restaurant we enjoyed was La Buena Vida in north Akumal, right on the beach. Although we weren't met by anyone, that was not important. The property was well maintained by Mario, but the home finishes & furniture, small appliances provided, were a bit outdated, basic and worn. We brought our own rafts since the house doesn't provide them, nor kayaks. Overall, it was a great vacation and family members already booked the place for the holidays!" We had a lovely vacation at Villa Sunrise, and strongly recommend this house for a family or group of friends. The house is intimate, yet perfectly accommodated for our group of six. The photos and description on the website are accurate regarding the space and all amenities. There is ample furniture, all very comfortable, from the beds to the wicker furniture in the living room, plus the swinging bed, lounge chairs, and hammock outside. The location was terrific, allowing for a walk on the beach to Akumal, and a 20 minute drive down to Tulum. There are excellent groceries stores both to the north and the south where we were able to find anything we needed. The kitchen is very well outfitted with practically anything one might need to cook complete meals, with plenty of dishes for a full house. We cooked most all of our own meals on site, and even had guests for dinner several times. Our only complaint is that the knives are not sharp enough. The tiered and beautifully landscaped beachfront provided a visual barrier which us isolated from the limited passing foot traffic. We watched the ocean and sky from sunrise to sunset (on the rooftop), and did some fabulous stargazing at night. Our host, who lives onsite, was accommodating to our special requests, and we found that our initial concern that we would feel watched or crowded was completely unfounded. He was helpful and pleasant when we needed information, but otherwise he was practically invisible. The agents at the management company, Villas Akumal, made the rental process easy, and were forthcoming with a lot of very helpful information to make our arrival seamless. The house was kept immaculately clean and well maintained by Irma and Mario. This is a great place to stay, and we hope to return for another visit soon." We had a great time, and the property is well named, Sunrise. From the master bed you have a full view of the bay and each morning the sunrise was spectacular. The second bedroom does not have a water view, but our kids slept in the side room with the two twin beds and they had the same great view of the bay. The home is a ground floor unit, it has a nice patio, great place to hang out read, play cards, nap on the covered bed swing, all steps from the beach and the water. You can snorkel directly in front of the home. The owners were present, very nice and offered us great advice on things to do. There is a husband and wife team who care for the property, they clean inside and out everyday, and even did some laundry which was a pleasant surprise. We made breakfast every morning, and when we came back from the beach or sight seeing the dishes were done, and the beds were made! A rental car is needed. We enjoyed the quiet residential neighborhood, but going to restaurants and shopping requires a car. We spent a lot of time in Tulum and visiting cenotes, and were always happy to head home to Casa Sunrise. " Great place everything was perfect "
Our stay was perfect! The villa is spacious, clean and very functional for a family of 5. This is a good value for money. The rooftop pool was definitely a plus because the temperature was very hot (late May). Having a maid to clean every day was also appreciated. The villa is about 30 minutes from the beautiful beaches of Tulum, 20 minutes from Puerto Aventuras and 5 minutes from Akumal. It is an excellent location. The owners of the villa were there (they live upstairs, which was a surprise!) But they have been very generous in advice for the choice of restaurants, beach clubs in Tulum and for activities (cenotes, Mayan ruins, etc.) Thanks for your valuable advice, Thierry and Jisel! We did snorkeling just in front of the villa and saw many tropical fish, it's amazing! We surely will be back at Villa Sunrise Akumal for an upcoming trip to Mexico!" Thierry the owner and Rhett from Akumal Villas management company made sure we were set to have a vacation to remember. We had everything we needed and more... Whether you're there to relax or explore, Sunrise Villa sets you up for everything. We absolutely loved the place and the people involved." !! Will be going back!" "What a great week in Akumal Sunrise! kayak which is a lot of fun. The snorkeling is excellent and there is a wide variety of coral and sea life on the various reefs. There was a constant breeze off the water when we were there which was very refreshing but not overwhelming. The house is pretty well equipped and most everything worked well (wifi internet only worked in one room but it worked well in that room). There is a handy man and maid who are both around daily and are very nice and helpful. The property owner, Thiery, lives on the second floor and he also was very friendly and helpful when we had questions. His stepson, Ivan, cooked for us on three nights and we enjoyed both his food and his company. 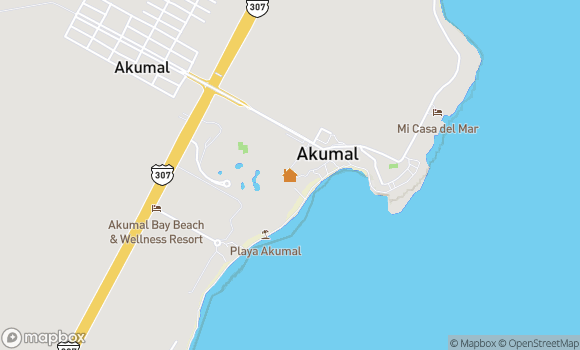 The location is great-- Akumal Beach ( where the sea turtles graze) is only a mile down the road. We went deep sea fishing (caught 4 dorado)and swam with the dolphins in Puerto Aventuras, about 15 minutes north and visited Mayan ruins in Muyil, about an hour South. Muyil is less crowded than Tulum, which is about 20 minutes South, but was much less crowded and the ruins were great. Hit up Mateo's in Tulum for dinner one night and the food and atmosphere were fantastic. Overall, our trip was great. We had a rental car and the driving was easier than I expected (I had never driven in Mexico before). If you are looking for a do it yourself vacation on the Mayan Riviera for 4-6 people, Akumal Sunrise is tough to beat. " We had an amazing time. Ivan was very attentive. Thiery, the owner of the property was an amazing host! Our only recommendation, is that the pool needs to be heated. Thank you for this wonderful experience along the Mayan Riviera!" The rental was just what we needed with our two small children. Very convenient to Tulum and Akumal, spacious and comfortable. Pool was awesome! Thierry was a wonderful host and a great resource." We loved ackumal! The home was very nice. But or experience really came together when we asked if we could hire a chef. The owner of the home recommended Jorge Wallace he was not only a wonderful chef but a great man! Jorge lives next store at the torquesa villa. If you are looking for a great chef and someone who knows the area who will give you assistance on your stay he's the best!!!!!" The owner of the house lives upstairs with his putbull dog which is not discolsed on the website at. In addition to this fact about the pitnull, you have to walk upstairs past the putbull to get to the pool. This is advertised as a house which it is not, it is simply a downstairs apartment. The other fact that is not disclosed is that you cannot swim in front of the house because of the amount of coral, in order to swim you need to walk down the beach about 7 houses to do so. Finally, the oven was not working which was not disclosed to me....the owner put a toaster oven in the kitchen I'm place of the oven. Oh and one more thing, the house has mice. " Sheets were very rough first 2 nights but it was nice that Rett changed them for us. All else was superb! Thanks, The Burns Family"
need new sheets. old nubby ones. Needs good dusting, under the beds, and such. otherwise, everything was nice, especially the hammock and outside swinging bed. " The villa was very nice and exactly like the pictures however, there were alot of rules that I believe should be known upfront on the website. Additionally, the directions to the villa were completely inadequate. Clearer directions and a sign indicating where the villas are would be extremely helpful. We arrived at night and were lost for about 1.5 hours. Additionally, we were unaware that the villa had a different name in Spanish and all the guards we asked were not familiar with the English name of the villa. If we had known the Spanish name of the villa we would've checked in much sooner. Definitely should tell people upfront about the rule of not flushing ANY t.p. in the toilet." Akumal Sunrise is a beautiful home on a quiet stretch of the beach. The owners are lovely and their hospitality was amazing. We couldn't have asked for a more relaxing and luxurious spot. " This ad has been viewed 826 times.